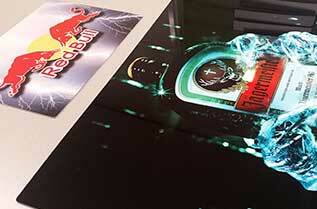 Making advertising boards on aluminium by sublimation technology is a very durable solution. Your logo and text will be applied to the aluminium in the coating. 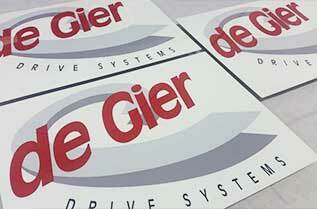 We make use of premium coating to keep your logo beautiful for years. The coating has a nice shine which makes the advertising board stand out immediately. Advertising billboards for outdoor use are treated with an extra UV resistant coating, so that colours stay good for longer. The boards have a thickness of 1.14mm. How is an advertisement board made on aluminium? See here how we make advertising billboards using sublimation technology. The ink is applied to the aluminium by heating with a transfer press in the coating. Hair sharp and colourful result. The ink is enclosed in the coating, making it scratch-resistant and colourfast. 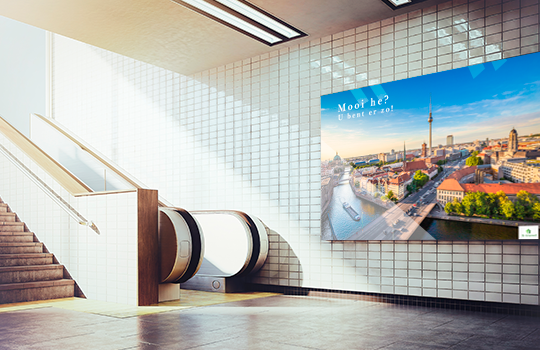 Aluminium sublimation is ideally suited for outdoor advertising billboards. The aluminium plates are vandal resistant and can be supplied in different thicknesses, shapes and sizes. 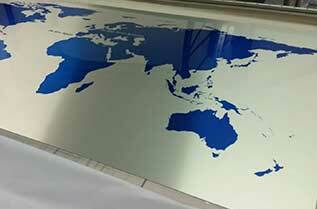 We can also sublimate a photo on large format aluminium plates. We can supply the advertising billboards with hanging holes, so that the advertising billboard can be hung directly on the wall. The unique coating ensures orphan resistance. The advertising billboards are also available in different thicknesses. The garden advertising boards are signs which can easily be placed in the garden to advertise. The plates are equipped with an aluminium powder coated pole.